In the northern hemisphere The North Face of the mountain is usually the iciest, coldest and hardest route to climb. Even though they are world famous for their amazing hiking and trekking gear, the North Face interestingly had their origins around San Francisco’s North Beach area. The company was founded as a small mountaineering store by two hiking enthusiasts in 1966 and over the next 50 years spread and grew into of the best outdoors products companies. They specialize in a wide range of clothing and apparel including Backpacks and in sticking with their origins these products are targeted towards hikers, skiers, climbers. North Face Backpacks are well known for their style, quality and durability and are extremely popular with all outdoor adventurers. North Face Backpacks are available in a wide range of shapes and sizes depending on functionality or activity. Types include daypacks for the quick journey, overnight backpacks that can store the basics or full backpacks that you can live out of while traveling. Our team of experts have reviewed a wide range of North Face Backpacks and Daypacks to find the best options, you can also pick up some cheap bargains on all North Face apparel from visiting one of our partner stores. The following are the 10 Best North Face Backpacks for you to buy in 2019. 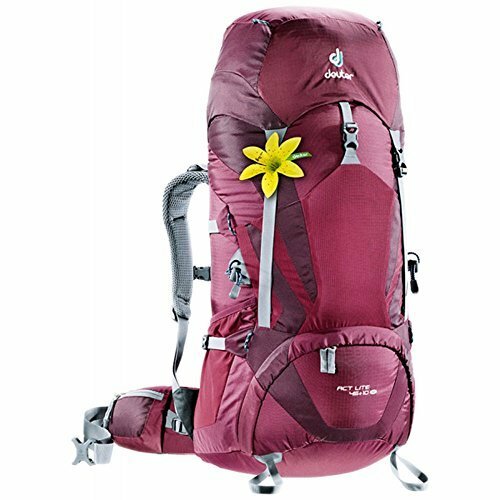 The North Face Jester Backpack is a 26 liter backpack that is ideal for women who loves to travel. It has a unique design that really fit for woman’s body frame. Holds a laptop making it perfect for work or school and also great for biking or hiking. It also features an in built key clip so you wont lose your keys while out and about. A large reflective patch ensure the wearers is always visible at nighttime offering great safety. You can pick on of these great Jester backpacks online at Amazon. The North Face Unisex Vault Backpack is a 26-liter vault backpack that is good for any outdoor expedition. You can put a lot of things with this durable backpack because it has a large compartment while also having a secondary compartment with zip pocket. This bag is perfect as carry on luggage or to take on a bike ride or hike. The neutral colors make it suitable for the whole family. Check out the latest price on Amazon. The North Face Pinyon backpack has a lightweight yet very durable ripstop body fabric and oxford boot fabric. It is useful friendly to everyone because it has an external zip pocket with an organizational panel. Plus a well ventilated foam 15” laptop sleeve to the side and top. Its unique J-zip gives easy access to the main compartment and a molded shoulder straps for maximum comfort. The North Face Pinyon is perfect as carry-on luggage and is available on Amazon. The Terra 65 North Face Backpack is a 65 liter pack designed for an outdoor enthusiast. It has a lot of compartments and includes a huge zippered side entry into the main compartment allowing quick access. The backpack is extremely comfortable thanks to the OPTIFIT suspension system, its padded shoulder harness and improved load spreading hip belt. Keep cool with vertical channels that offer awesome ventilation. The Terra 65 North Face Backpack is available to purchase online at Amazon. The Slingshot Backpack from North Face has a 28 liter pack compartment that is trail-ready and FlexVent injection-molded shoulder straps to keep backpackers more comfortable. Its hip-belt is removable and has mesh water bottle pockets on the side. Awesome choice on your next hike or to carry your gear as you explore your destination. Check out the latest price of the great North Face Slingshot backpack from at Amazon. The North Face Unisex Haystack backpack has a 15” laptop compartment and has a comfortable stitched-foam panel at back. It is a 31.5 liter pack that has a large main organizational compartment inside and an external zip pocket. This is a unisex design with a fantastic kids version also available. We love the Haystack backpack which makes a perfect daypack and is available online at Amazon. The North Face Pivoter Backpack is a 27 liter backpack with a quick access to the main compartment. Perfect for taking on the road with you providing easy access to your travel document, lunch or kids activities. This backpack also has a padded sleeve for a 15” laptop with zip pocket and holds 2 drink bottles. The North Face Pivoter backpack is a perfect all round travel pack, check out the latest pricing on Amazon.